Kikugawa Red Brick House saved from the developers’ clutches! 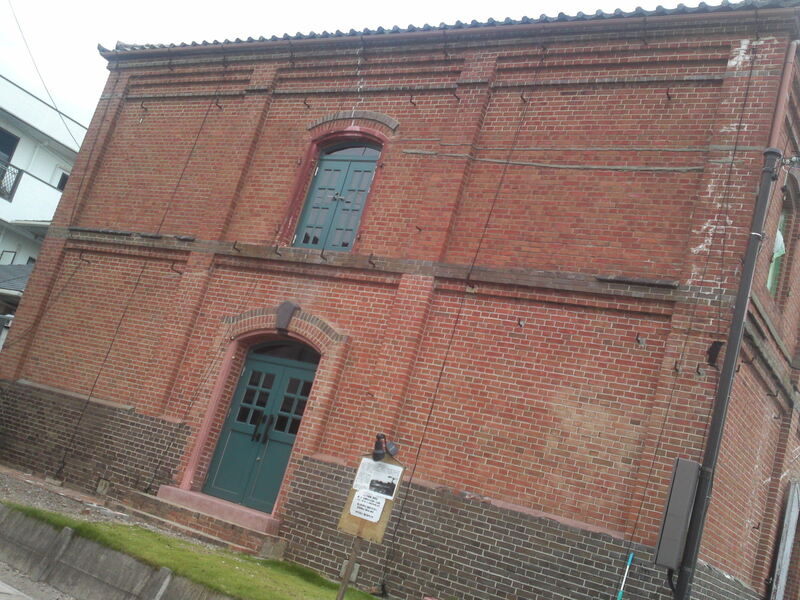 If you walk straight out from the only exit of Kikugawa City JR Station you are bound to walk past a square old building all made of red bricks. Now, this is a noteworthy discovery as such buildings, mostly official at the times, were destroyed during WWII and most of those you may discover, especially in Yokohama and Hokkaido, are copies. 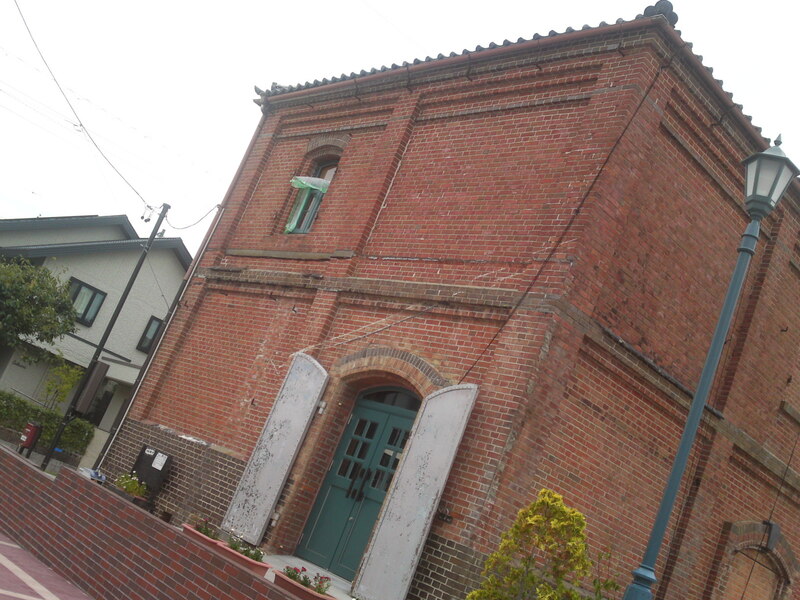 This building in Kikugawa City is the real article! It was erected as soon as the Tokaido Railway Line opened a station in Horin No Uchi (as of Hori no Uchi District in Kikugawa City) ine 23rd Year of Meiji Era (1890). 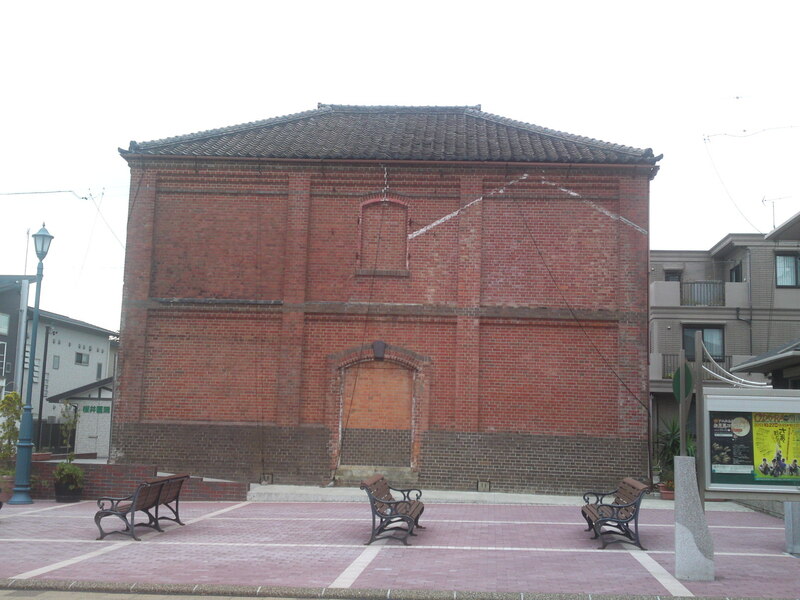 many buildings of the same architecture were also built at the same time along Kikugawa Station platform, Yoshizawa Arch Bridge, Kanaya Station and Makinohara Tunnel as offices, warehouses and else but they all have disappeared and the Red Brick House in Kukgawa City is the only one left. For long the land had been ogled by developers and only 2 years ago the rumors were pretty bad until an NPO took charge of it with the blessings of the city as Cultural Asset! The original front facade although it is now oriented away from the street. If one looks carefully one can see the traces of the adjacent buildings and walls which have all disappeared! 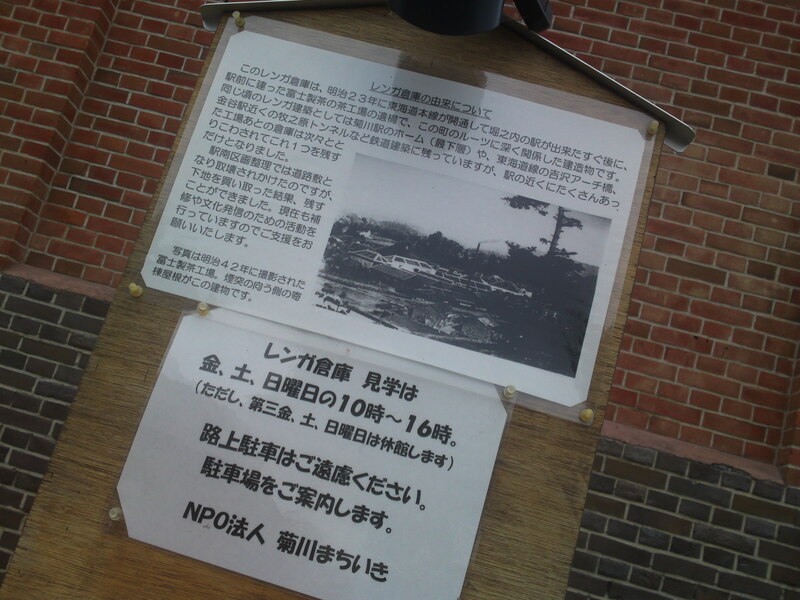 The place can be visited on Fridays, Saturdays and Sundays from 10:00 to 16:00 except on third week-ends. It is still being cleaned and ordered inside but it is still worthy of a visit and of a glimpse of the past!